Today’s links are to articles I’ve read (and one video I watched) over the past week that I think will be of interest to my readers. While some of these articles are on popular blogs (so you may have already seen them), others are from newer or less well-known bloggers. I’m happy to introduce you not only to interesting and thought-provoking articles, but also to excellent blogs you might decide to follow. Bridgette Rae’s recent haircut led her to think deeply about change and why we avoid it, even when we’re craving something new. She shares a story of one of her early clients who was reluctant to get rid of an old pair of Chanel earrings. The client didn’t love the earrings and wasn’t wearing them, yet they reminded her of a better time in her life. Bridgette shares the dose of “tough love” she gave this client and what happened as a result. She also writes about the phenomenon of anticipatory anxiety and how it stops us from making the changes we know we need to make in our lives. 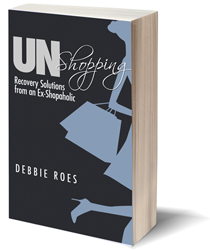 Unshopping… and Unraveling is another blog written by a recovering shopaholic. This shopaholic, Cristina, recently experienced a relapse of her compulsive shopping problem. 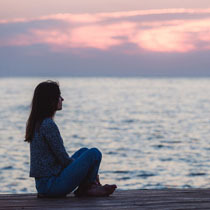 In this incredibly open and revealing post, Cristina writes about what happened, her feelings about the relapse, and her commitment to turn things around and conquer her shopping demons once and for all. Many of you have praised me for my openness and honesty in my posts. Cristina is equally candid and I was genuinely moved by her words. I think you will be, too. Joshua Fields Millburn of The Minimalists is an excellent writer and has the enviable ability of conveying a profound message using a small number of words. In this post, Joshua writes about his recent “breakup” with a large chunk of his wardrobe. 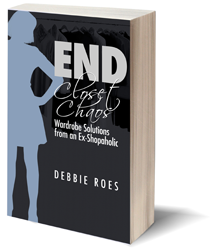 Read this article if you want an extra dose of motivation to streamline your closet. I’ve never thought to look at my possessions as being “promises” before, but this article from Miss Minimalist makes a strong case for such a viewpoint. We buy new things for the promises we believe they’ll deliver in our lives, but we often end up with a pile of broken promises, otherwise known as clutter. Miss Minimalist offers a series of questions to ask ourselves to help clear away current clutter and avoid accumulating future clutter. I close this post with an entertaining and informative five-minute video from The Center for a New American Dream. Jill Chivers shared this video on Facebook and my first thought was to include it in my Friday links post! In the video, psychologist Tim Kasser discusses how America’s culture of consumerism undermines our well-being. The narrative and the accompanying animation lays out the problems of excess materialism and points toward solutions that promise a healthier, more just, and more sustainable life. While this video centers on America, the message applies to people all around the world! I hope you enjoy this “mixed bag” edition of useful links. I wish you all a wonderful weekend! Lots of fall sales are going on right now and for the next few weeks. If you’re headed out to the shops, it might be a good idea to revisit the tips that Dr. April Benson and I gave during our August teleseminar. While these tips refer to August in particular, they are applicable to the shopping challenges we face all year round. This entry was posted in Behavior & Psychology, Resources, Wardrobe Management. Bookmark the permalink. ← What Triggers You to Shop? You’re welcome, Linda! I’m happy to share your wonderful article and blog with others! I’m glad you liked the other articles in this post, too. Thanks for these links, I enjoyed several of these articles and am happy to have found some new blogs that align with my own philosophy! You’re welcome, Alice. I’m happy to share useful articles and I’m glad you found some new blogs to read! Hi! I was moved to tears this morning to see your link to my blog. Until now, my audience has mostly been my sister. 🙂 The other links seem great — I often follow some minimalist blogs, hoping and wishing that I will get there someday, but not yet taking action. Now I know what I’ll be doing this weekend: reading your blog, which seems full of exactly everything that goes through my mind! I was very happy to share your heartfelt post (and your wonderful blog) with my readers, Cristina (I apologize for spelling your name wrong – it’s fixed now). I know that many of my readers will enjoy reading what you’ve written. I was very happy to find your blog and I’m glad you started posting again. I hope you enjoy my posts and I welcome your comments on any of them. Thank you very much for the link love, that’s very appreciated to be featured in a list of recommended links! I like this post series you are doing, as it helps discover new blogs or articles about the subject of minimalism, buying less, wardrobe editing… I always like your selections a lot, and this week is no different 🙂 I am particularly moved by the Chanel earrings story, it is incredible, the emotional link we can have with objects. The fact she did part from the earring when she recovers is interesting, food for thought! I was happy to share your wonderful post, Kali. I plan to read it again, as I need some extra motivation to tackle my pants nemesis! I’m glad you like my “useful links” posts. I had lots of great content bookmarked and I wanted to share. I really loved the Chanel earrings story, too. I’ve found that I’ve been much more willing to let go of things as I’ve progressed in my recovery. I don’t have anything quite like the Chanel earrings, but I do find myself clinging less and less to things as time goes on.